FL-2125 8×DVB-S/S2 to 8×MPTS IP Gateway can receive 8×DVB-S/S2 signal (RF) transponders and output 8×MPTS IP transport stream (TS over UDP). 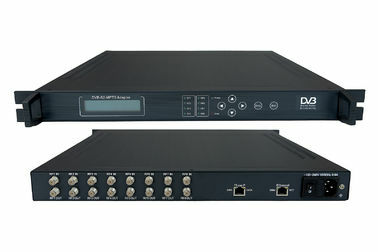 It suits 1U rack and provides front panel LCD operation and NMS (Network Management Software) controlling. Its high-integrated and cost-effective design makes it widely used in varieties of digital broadcasting distribution systems.